If you take financial advice from a financial adviser, it is going to cost you even if you don't see the bill.​ The financial adviser environment in New Zealand is somewhat misunderstood - this guide walks you through what a financial adviser is, who uses them and how they are paid, along with some tips of what to ask them should you decide to meet with one. What is a financial adviser? Who uses a financial adviser? When do I need to use a financial adviser? How are financial advisers paid? How do I find a financial adviser? What questions should I ask a financial adviser? What can I do if I got the wrong advice? Throughout your life you're likely to make different investments and buy different financial products at different times. The purpose of a financial adviser is to help you make the right decision about what investments and products are best for you. The reality is that most clients of financial advisers tend to be 50+ years of age with a healthy amount of money to invest. Young Kiwis are unlikely to seek out financial advisers, focusing instead on KiwiSaver contributions, buying a house and investing in managed funds as primary investment options. In most cases, meeting a financial adviser won't cost anything - they work on commission. What you pay usually depends on what you invest - very few financial advisers charge an upfront fee (there is a list of fee-charging advisers here). If you invest $100,000, it is reasonable to expect your adviser to be paid around $250-$500 per year by the investment platform you select. There is always a risk when it comes to being advised about the appropriateness of an investment. Financial Advisers are not paid when they recommend investments that don't earn them commission. For example, it is reasonable no Financial Adviser would suggest investing in Simplicity - not because it is not a good investment opportunity, but because the investment does not pay them any commission. For this reason, a similar platform with higher fees may very be recommended instead. In almost all cases, Financial Advisers are paid by the investment manager you end up selecting and not by a meeting fee. This means their fees work like a commission, except it usually is regular. For example, if the annual management fee of the investment you choose is 1.50%, your financial adviser may earn 0.50%. This might not sound like a lot, but if it's a $100,000 investment, 1.50% is $1,500 and of which your adviser receives $500. And that's every year. Some investments pay a financial adviser a 'success' fee for securing your money - this will be a one-off payment. 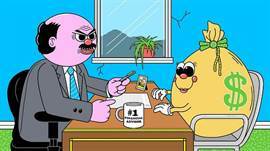 You won't see any payments to the financial adviser; the investment manager simply charges you 'administration fees' and 'management fees'. First of all, talk to your family and friends and ask them if they have used a financial adviser in your area. This is a good starting point and make sure to ask about their experience (good or bad). ​It is likely you will want to see more options, and the Institute of Financial Advisers (IFAs) lets you search by region for a local financial adviser. Following that, Googling "Financial Adviser (and the name of your location)" is a great place to start - be sure to look for Google Reviews of any adviser you shortlist. This section appears courtesy of the New Zealand Financial Markets Authority. While this is a complete list of questions to ask and consider, we recommend always asking for an explanation if you don't understand something when meeting with a financial adviser. 1. How do I know what you’re recommending is the best option for me? Your adviser should put their recommendations in writing, setting out what they’re recommending and why. Has your adviser asked you questions about your circumstances and needs? For example, your financial goals and tolerance for the ups and downs of investment markets? Has the adviser helped you prioritise your financial objectives, explained and discussed choices with you, and developed a strategy to help you achieve your objectives? Do you have a clearly defined scope of service so you know what advice is being provided and what is not? 2. What are the risks of this investment? All investments carry risk. Your adviser can’t protect you from investment risk, but it’s his/her job to ensure you understand what you are getting into. Has your adviser provided clear and simple explanations about how the investment(s) you’re considering will work and what could go wrong? Do you understand how you can make, or lose, money from this investment? If your adviser is advising you to change from another product, he/she must tell you the costs as well as the benefits, and risks of the switch. If the adviser can’t provide a specific comparison (for example, if they are unable to comment on other provider’s products), ask for an explanation of the risks of changing products and investigate this further, or get a different opinion. 3. What will I pay? Some advisers charge a fee, others charge a commission or may receive sales related incentives. Details of any fees or commission that apply must be provided to you in writing in a formal disclosure statement before you pay the adviser any money. Check to see if they charge ongoing service fees. If so, find out what that service means. Will you get regular reviews of your circumstances and investment portfolio? Will re-balancing of your investment portfolio be necessary? Some products have entry and exit fees and may charge ongoing management fees and expenses. This information should be explained in the product disclosure statement so be sure to read it. 4. What information will I receive about my investments? Find out how often you’ll receive reports or transaction statements showing the value of your investments and the fees and taxes paid. It’s important to have this information so you can watch out for warning signs that something may be going wrong. If your adviser is providing you with ongoing service, ask how often they’ll contact you. Remember things change, so it’s important to review your plans at least once a year. Your adviser should provide information about appropriate benchmarks to help you compare your investment’s performance against other similar investments in the market. Advisers must also provide you specific product disclosure information for each investment product you are using. 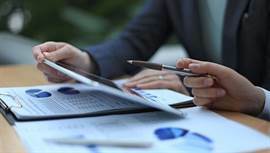 Do you understand how to interpret the financial reports you’ll receive? Do you want ongoing service and calls when changes need to be made and what they will cost? 5. How can I get my money back? If you’ve agreed to a fixed-term investment you may need to pay a penalty and/or fee to get your money back. Or you may make a profit or loss, depending on the price of the product at the time you want to sell it. There may also be restrictions, for example, units in some managed funds can only be sold at the end of a month, or there might be a limited market for some types of products. Investments in KiwiSaver and other superannuation funds are often locked in until you retire. If this is the case, you usually can’t get your money out early. • Have you got enough money readily accessible if you need it? Some advisers may recommend you put ‘emergency’ money in a cash fund, but remember entry and exit fees may apply. If you feel you've been mis-advised, you have a right to complain. You cannot complain about the performance of an investment, only the way you were advised. Traditionally few people have done so, unsure and embarrassed by how the investment has turned out and then putting it down to experience. 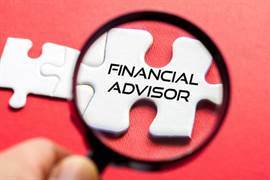 If you feel you have been mis-advised, the best approach is to complain to the financial adviser first - explain why you think the advice you received was wrong and collect as much paperwork and emails as you can find to support your argument. If you don't get a favourable response, you can complain to the Ombudsman service. The Financial Markets Authority and the NZ Government both set out excellent guides on who to complain to. Remember, when it comes to investing, 'low risk' isn't the same as 'no risk'. 'Low risk' can still see you lose your money, and provided the financial adviser has explained this fact, there are no grounds for complaint. But if were advised that a product you invested in could not lose money, and then you did, you have been mis-advised. We are not the biggest fans of financial advisers. In many cases, you are not necessarily going to be presented with all the appropriate investment recommendations in the market, and you may not understand what you are investing in - a big 'no-no' in the rules of investing. Transparency and financial advisory are not known associates - in the age of the internet, we believe even the most inexperienced investor can learn with tools and resources from Sorted and MoneyHub. Most investments offered by managed funds are made up of shares and bonds - you are likely to find platforms like Simplicity, Sharesies or InvestNow cheaper compared to what an financial adviser offers. If you do use a financial adviser, be sure that your investments are diversified - anyone who suggests to put all of your money in a single investment is incompetent. Also, ensure that all your investments are being invested directly in your name with the investment entity and NOT in the name of the financial adviser or their company. Lastly, NEVER make an investment in an organisation you have never heard of or can't verify its existence, no matter how much the financial adviser may reassure you. Young and looking to meet with a financial adviser? A reader of the New Zealand Herald describes her experience in doing just that. The financial adviser MUST make you understand what you are investing in - if you cannot understand how the investment works, you need to find another solution. Investing success requires you being comfortable with where your money goes - not understanding it means you'll have no peace of mind. Knowing your financial adviser as a person is essential, and make sure you like them. If you feel as if they talk down to you or don't listen to your needs, look elsewhere - there are so many to choose from. Ask them how long they’ve been in the business and how many clients they work with. It's also a good idea to ask how they communicate going forward - is it only via email, or do they take phone calls? If you want to understand their own investing strategy, ask what they invest in personally. A financial adviser who doesn't have any investments (not uncommon) is probably not someone you want to work with. Make sure you understand that if you need to withdraw money from your investment you may not be able to get it right away. Some investments have a "lock-up" period, and there may also be fees. Understanding all of this BEFORE investing is essential. 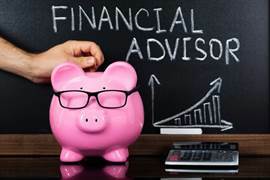 Financial advising is not an overly lucrative career - it is a sales-based role that involves a lot of upfront time which can go unpaid if clients don't invest. If the average financial adviser earns 1% on the investments they manage, that's only $1,000 for every $100,000 invested. To make a decent income, they need to find either a lot of clients or a lot of clients with a lot of money, or a mixture of both. While some financial advisers charge upfront fees, most don't, so the advice you receive will be 'free' up to the point that you invest. Financial advisers only work with a limited range of investment options - like an insurance broker to mortgage broker, they have their favourites and established relationships. This means if you're looking to invest in managed fund platforms like InvestNow or Simplicity, chances are the financial adviser won't offer such an option. Many financial advisers were widely blamed for investing money in finance companies that failed in the last financial crisis. It's important to know that the financial advisers were not responsible for the investment and management decisions of the companies. While many finance companies offered financial advisers hefty commissions in exchange for investments, banks and lending companies worldwide collapsed or were deeply affected by the financial crisis. Despite media reports, financial advisers played no direct part in the crisis. While you may have one lawyer, one accountant and one mortgage broker, you are welcome to seek financial advice from as many people as you want. As the fee you pay will usually be a percentage of what you invest, you have the power to invest your money where you want. If this means splitting it between two or more financial advisers, you are free to make that decision. For most people, investing is not a short-term activity. A financial adviser is (in most cases) focused on wealth creation, and this is a long-term activity. Your relationship needs to stand an extended period, so having a financial adviser you trust and like as a person is vital. If later down the line your financial adviser decides to change firms, your investments usually stay with the existing firm and won't travel over with the adviser. If you follow the adviser to the new firm you'll also have to deal with someone from the existing firm with regards to your current investments. Many financial institutions in New Zealand offer financial advisers incentives such as all-expenses-paid trips to Fiji, Las Vegas and other exotic destinations. You won't see this in your fees schedule, so it may be hard to know what the 'real' reason an adviser pushes one investment over another. This Stuff.co.nz article explains this industry-wide issue in detail. Your investments will have tax obligations - while it's your responsibility to pay your own tax, every financial adviser must fully explain the tax consequences. If you don't understand how the investment's tax works, ask until you do.